Three 20mm (approx. 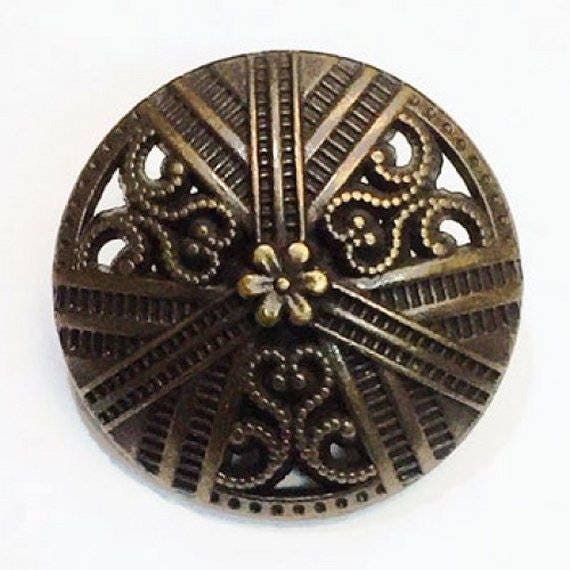 3/4") Antique Filagree Round Shank Buttons to add pizzazz to your jackets, vests, purses, and hats! 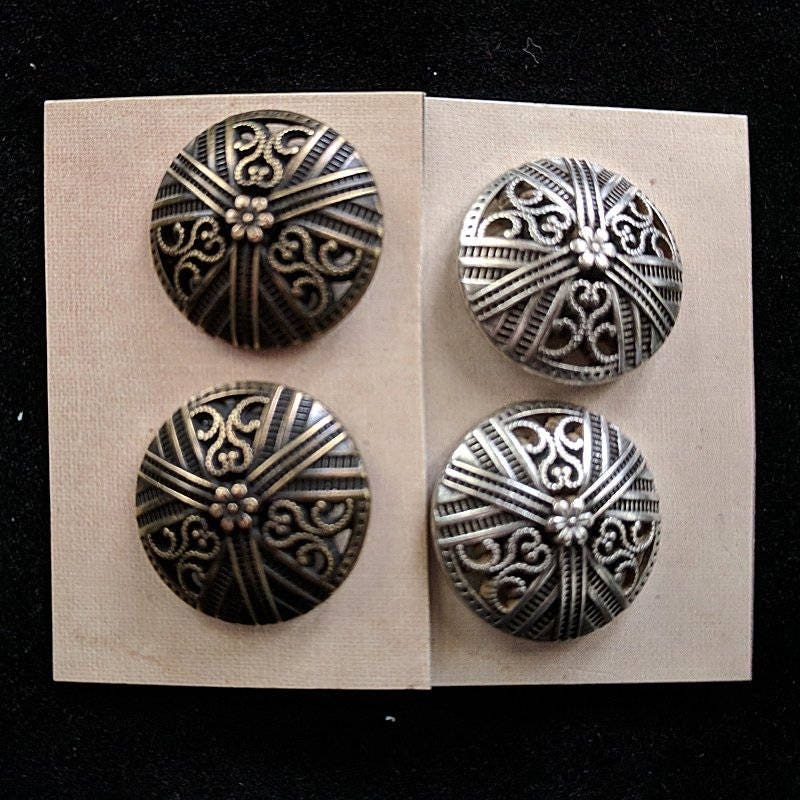 These are the same buttons we use on our buttoned tricorn hats. 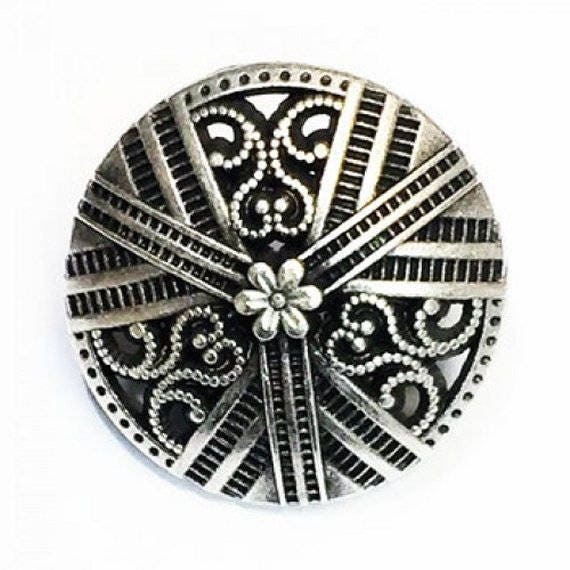 This domed button features scroll cut work (which is perfect for adding a jump ring with bead dangles), bars and a floral center. Your choice of silver or gold.